This is a fun little project that actually took me awhile to put together. What makes this project interesting and useful is that it will display your voltage, current, and power of any device you plug it into. 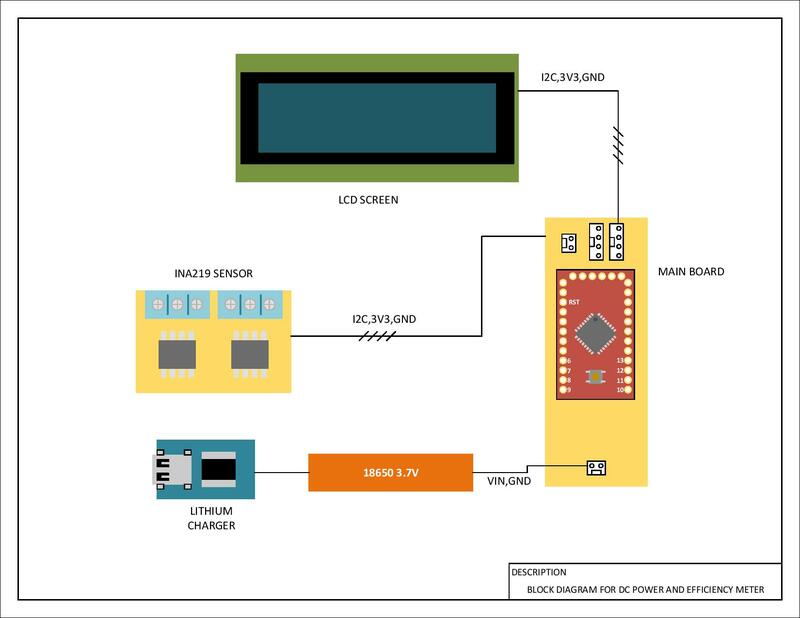 What also makes this project useful is that it will calculate the efficiency of your device for example a dc dc converter. 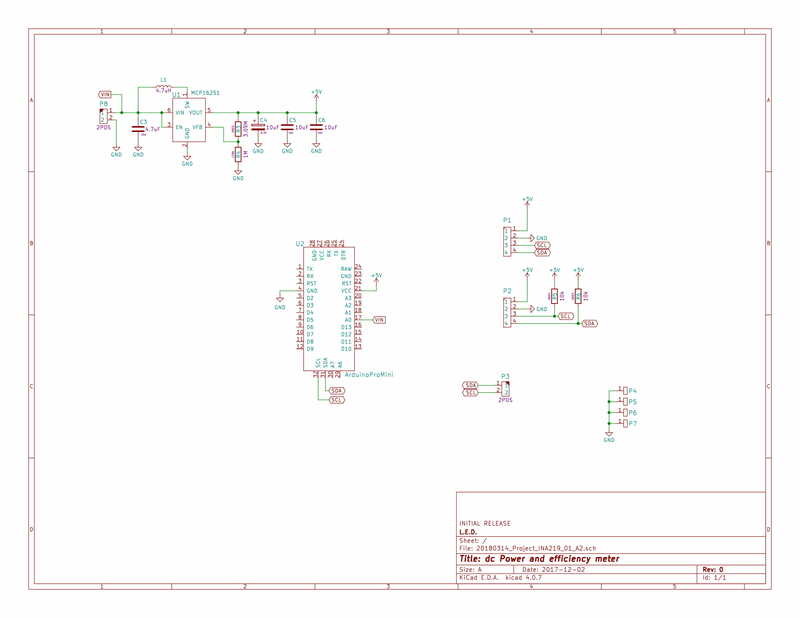 Here you can see a block diagram showing how I connected the different boards to create this project. Since I used my CNC machine to create the boards, it’s always much easier to separate the circuits into different boards for routing. 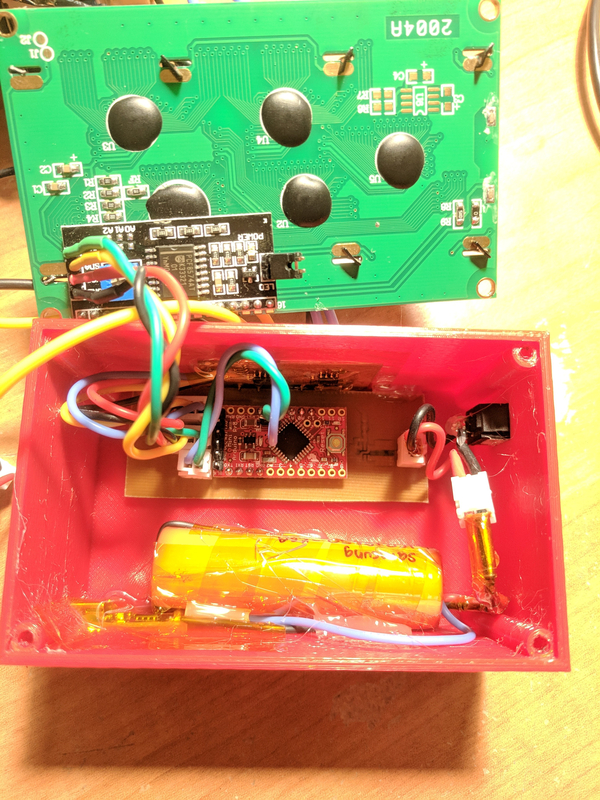 The main board consist of an arduino pro mini to keep the footprint as small as I can and also host a 5V boost converter being power from the 18650 lithium ion battery. 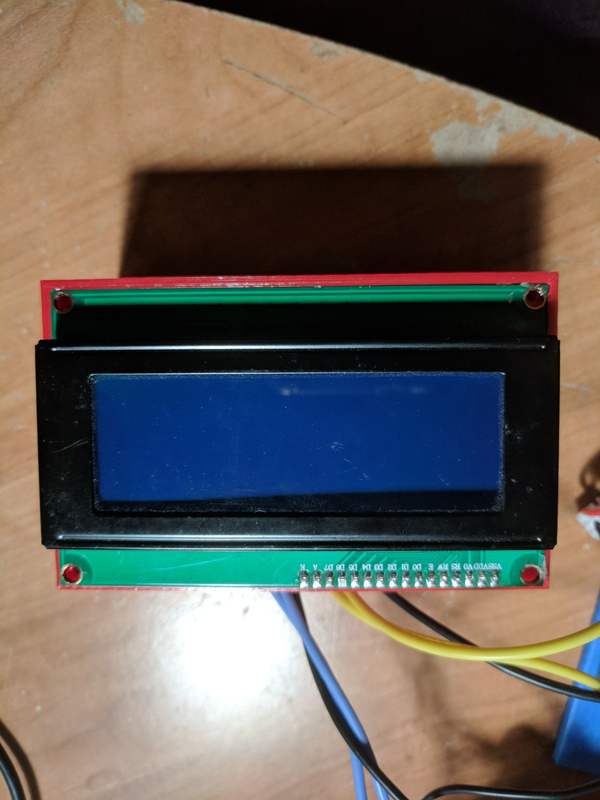 In order to charge the battery without having to remove it from the enclosure, I decided to add a lithium ion charger board that connects in parallel with the battery. Its powered by a 5V USB mini connector and can be bought on amazon. The second board host x2 INA219 high side I2C current, voltage, and power sensor by Texas Instrument. This IC is an amazing little thing because it takes a lot of the number crunching away from the Arduino and just sends the data over I2C that you need. 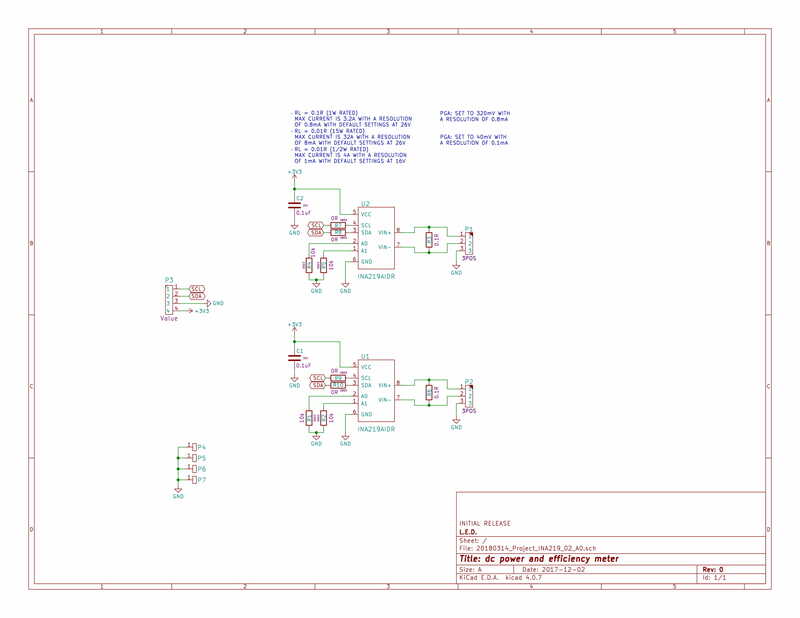 The final piece of this is the I2C liquidcrystal display for the arduino. I used this library here for the display. 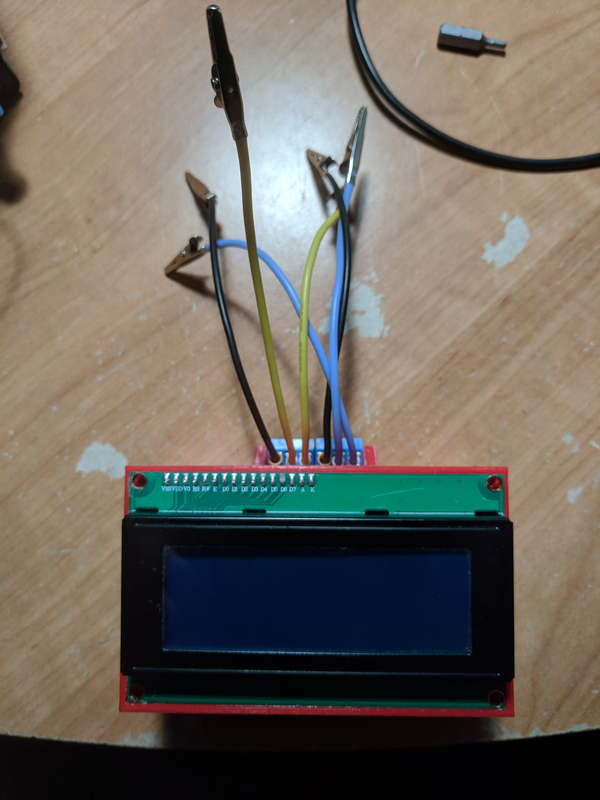 Make sure you connect the display and run an i2c address scanner on the examples for arduino because sometimes the displays have a different address than the default one listed. *              power and calculates the efficiency of the system. * Display on LCD screen all the values. There might be some issues with how wordpress displays the arduino code but I attached the original files at the end this tutorial. I designed the enclosure in fusion 360 and printed the both with matterhackers pro series PETG red. I used a monoprice maker select v2 to print this enclosure. This was one of my favorite projects yet because the design alone makes me feel accomplished learning everything on my own. I still feel like I can make some upgrades to how I mount the internals and to be honest, I really rushed this part because I wanted to finish it. 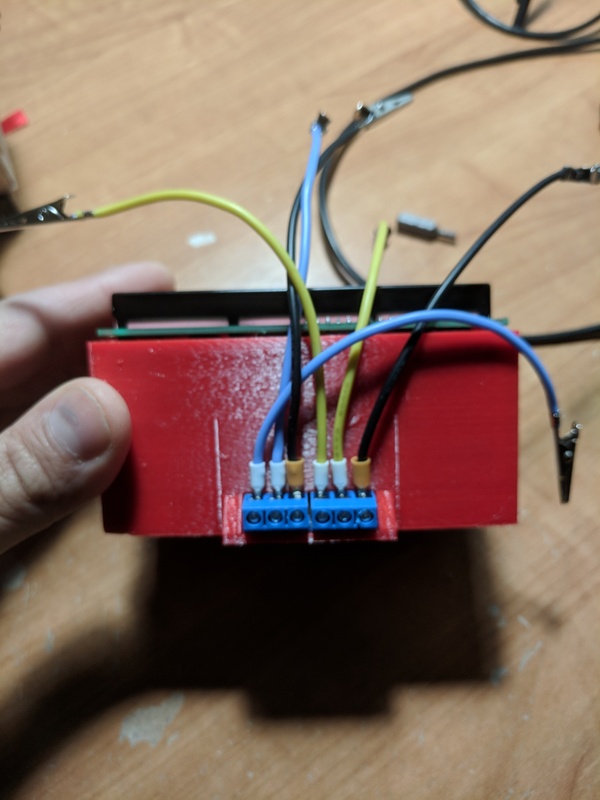 Some upgrades I’m considering is using the arduinos internal 1.1V reference with a voltage divider to measure the battery voltage because it wasn’t as accurate as I wanted it to be. Thank you for visiting and reading my project. if you have any questions or comments or suggestions please don’t hesitate to ask.